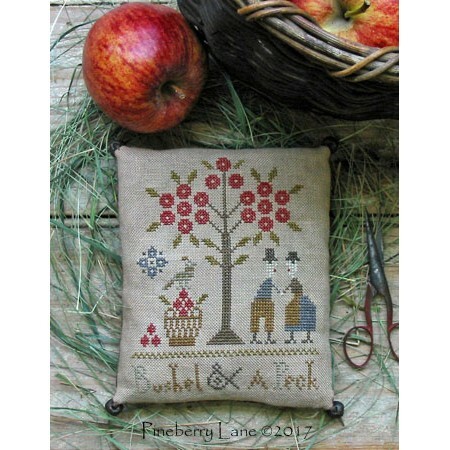 Apple picking time turns romantic! 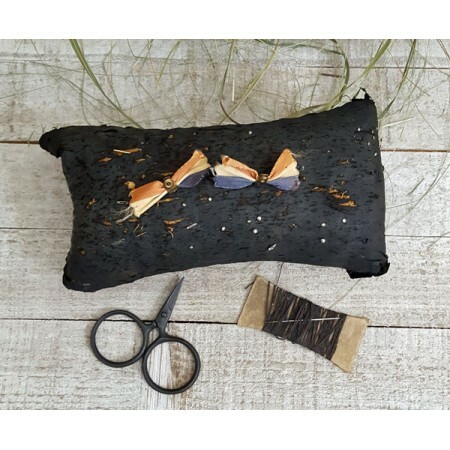 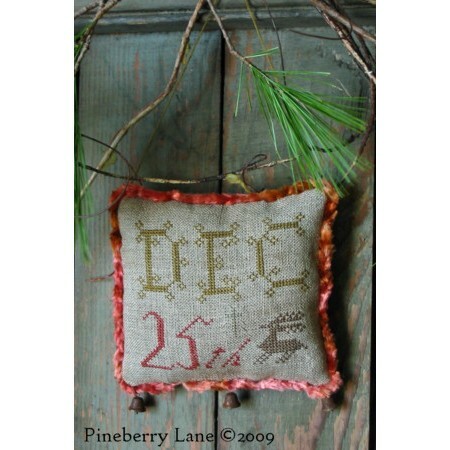 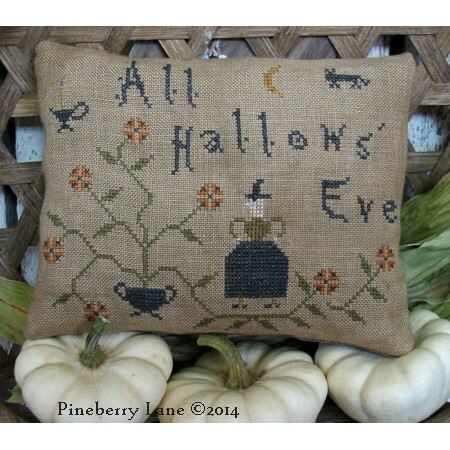 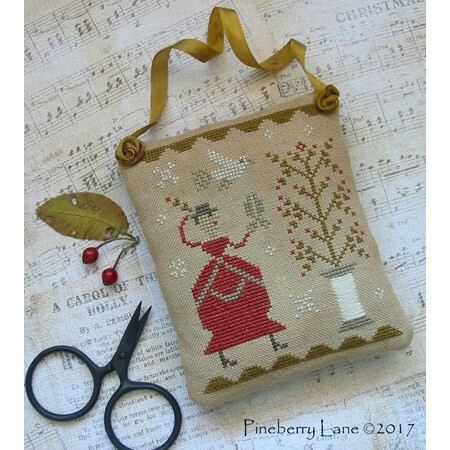 Bushel & A Peck features a sweet couple stealing a kiss..
December 25th ~ a day of peace and profound gladness… This little cupboard hanger, which..
Amazing black silk Civil War era pincushion. 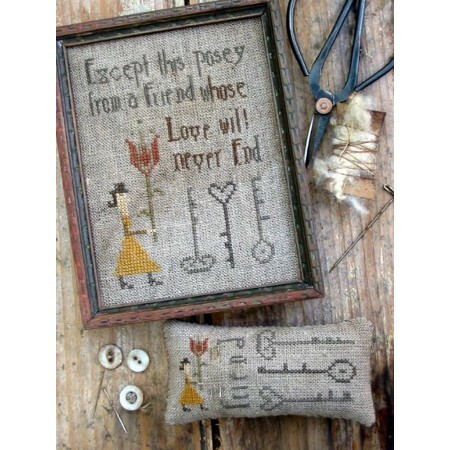 Firmly stuffed with sawdust. 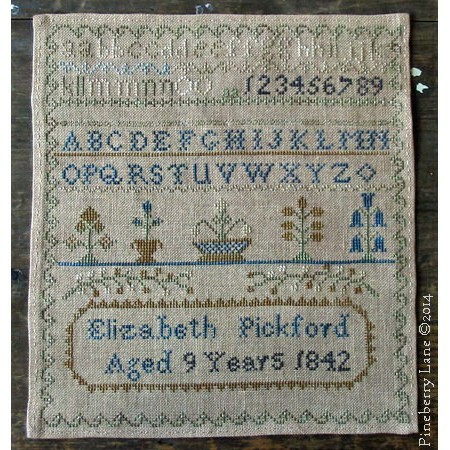 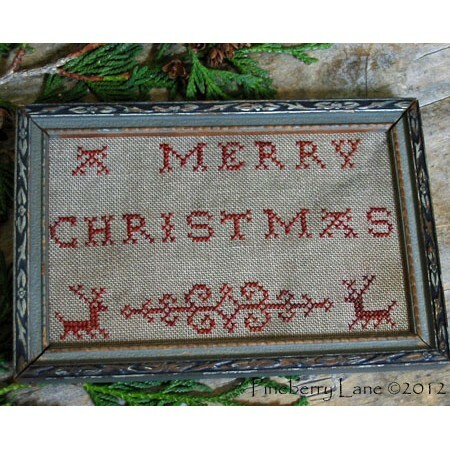 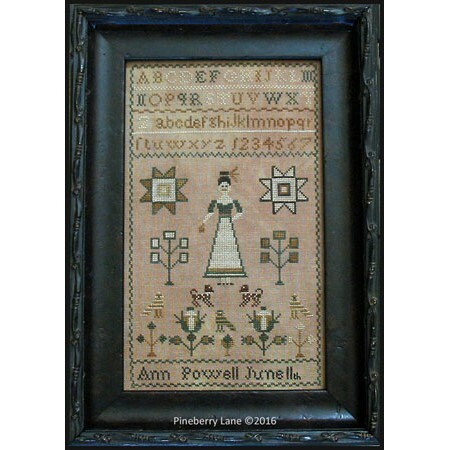 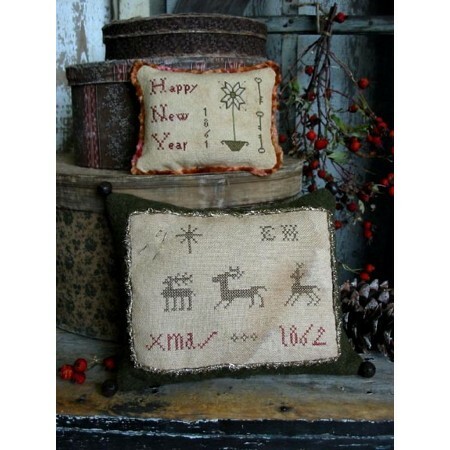 The silk is worn and there..
Elizabeth Hammond’s Christmas sampler pillow features three fine old reindeer motifs, a Christ..
~~An Antique Reproduction~~ A delightful reproduction of one of the antique samplers in my co..
Enamored with old sampler verses as well as Fraktur motifs, I’ve created two miniature stitche..